From Coors and Paseo Del Norte, head north on Coors (will turn into 528 Blvd), Continue on 528, Turn right on Sabana Grande ave, Turn left on Rincon de Romos Dr, Turn left on Juan Aldama, property on the right. Hello, I’m interested in 3901 Juan Aldama Court SE and would like to take a look around. 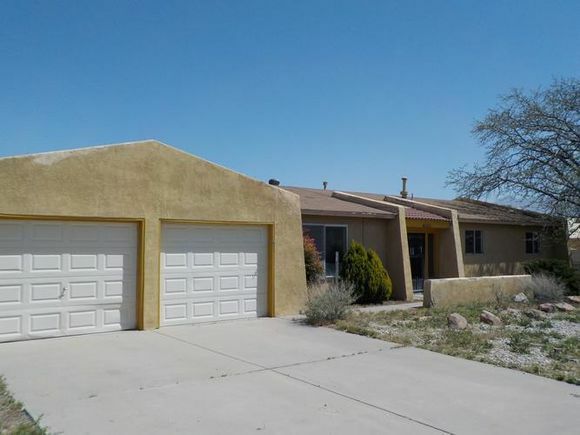 The details on 3901 Juan Aldama Court SE: This house located in Corrales Heights, Rio Rancho, NM 87124 is currently for sale for $125,000. 3901 Juan Aldama Court SE is a 1,600 square foot house with 3 beds and 2 baths that has been on Estately for 4 days. 3901 Juan Aldama Court SE is in the Corrales Heights neighborhood of Rio Rancho and has a WalkScore® of 41, making it car-dependent. This house is in the attendance area of Rio Rancho Elementary School, Rio Rancho High School, and Rio Rancho Middle School. Listing Courtesy of: SWMLS and Premier Home Team Realtors.